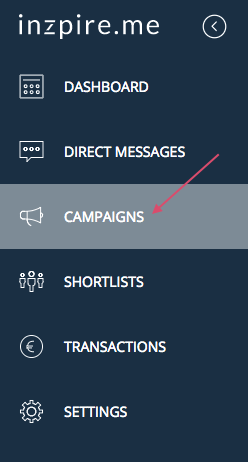 To manage booking requests in a particular campaign, select Campaigns in the sidebar menu. 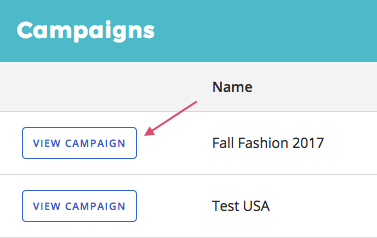 Locate the campaign you'd like to manage and click View Campaign. You will be able to view all the booking requests in that campaign in a Kanban or list view. The bookings will automatically move columns depending on its status (ie. Pending, Accepted, Denied, etc.). If you do not want to view a certain column, you can collapse it by clicking on the collapse icon at the top of each column. 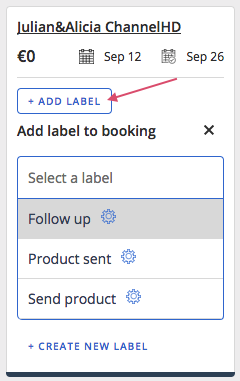 You can Add Labels to each booking to leave yourself reminders to follow up with the influencers, to send out a product, or to note that a product has already been sent out. These are default labels. If none of the default labels apply to you, you can also Create a New Label. You'll be able to filter by labels and/or by booking status.